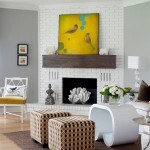 Gray and yellow is a great color combination for a modern home. It’s stylish and bright and yet there is a neutral feel to it. Gray and almost any other color look good together thanks to the fact that gray is a neutral hue. Gray and yellow though is a special combination. Contrasting colors create a special dynamic in the interior. Charcoal gray is quite a dark shade so it works well with electric yellows. Since gray is more of a background color you can use it for walls and other expansive surfaces while bright yellow is great for using in accents like pillows, vases, and other decor items. Bluish gray is a great alternative to just gray. You can also go for brown undertones if you want a warmer look as it will pair well with sunny yellows. If you want to create a luxury look with these colors go for silver and gold metallics or you could create a gray interior with golden accents. There are quite a few combinations including these two colors but you can also throw in other neutrals or brights like peach, white, and blue. 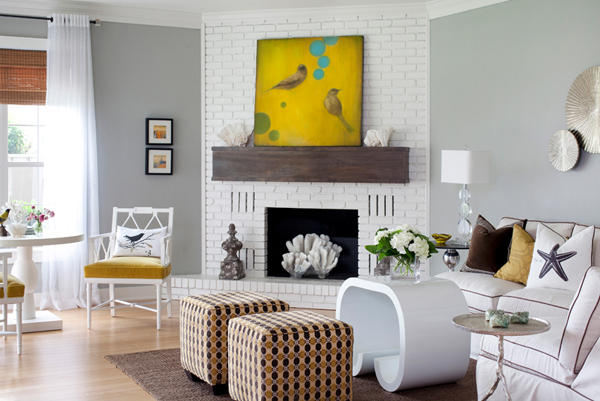 When decorating with gray make sure to choose the shade that doesn’t look dull. If you think the whole room would look too depressing in gray you can opt for grays with other colors as undertones or choose the neutral white while introducing gray in a feature wall, headboard, or some other element. 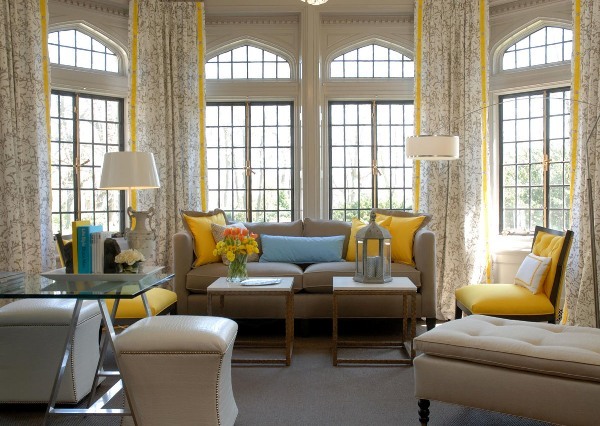 When choosing yellows make sure they aren’t irritating and pair well with the gray shade of your choice.